HURON – Leona H. Mann, 97, of Huron, passed away Friday, January 25, 2019 at Stein Hospice, Sandusky. She was born January 30, 1921 in Ravenna, OH and moved to Huron in 1964. 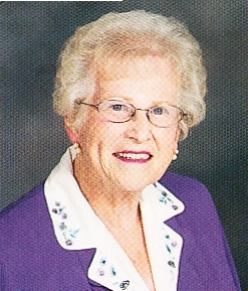 She was a member of the United Methodist Church, Huron for over 50 years. She enjoyed meeting and talking to all people. Her and her very close friend, Mertyce Brantner, enjoyed their friendship. She is survived by her daughter, Colleen Mann of Huron; nieces, Luan Hart Hedley of Siesta Key, FL, Judy Hart Byers of Swannanoa, NC, Julie Mann Stiltner of Ravenna, OH; Kathy Hart Falk of Columbus, OH; nephews, Brian Hart of Coral Gables, Fla, and Neil Mann Jr. of Ravenna, OH; great-niece, Debbie Mann of Aurora, OH; great-nephew, Trey Mann of Ravenna, OH; and sister-in-law, Eloise Hart of Sarasota, FL. She is preceded in death by her husband, James Mann in 1998; her son, Kevin Mann; her parents, Fred Alexander Garfield Hart and Myrtle Venona Rankin Hart; brothers, Col. Frederick and Kenneth Hart; nephew, Tom Mann; and brother-in-law Neil Mann Sr.
Friends may call Sunday, Feb 10th from 2-4 & 6 to 8 p.m. at the Foster Funeral Home & Crematory, 410 Main Street, Huron. Funeral services will be Monday, Feb 11th at 10:30 a.m. at the United Methodist Church, 338 Williams Street, Huron, with Pastor Pamela Sayre, officiating. Burial will be at Meadow Green Memorial Park, Huron. Memorial contributions may be made to the Huron Rescue Squad, 413 Main St, Huron 44839; Stein Hospice Services, 1200 Sycamore Line, Sandusky, 44870; United Methodist Church, Huron; or to Towne and Country Players, P.O. Box 551, Norwalk, 44857.